Data analytics is one of the most appreciated parts of the present businesses. In case you haven’t heard of the excitement about big data, you are not following the modern trends. 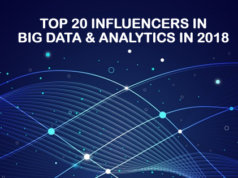 The increase in big data interest and management of data in organizations such as processing, storing and removing from data of all types and sizes has increased the number of big data certifications. It has led to the need to identify the right skills to manage bulk data sets. 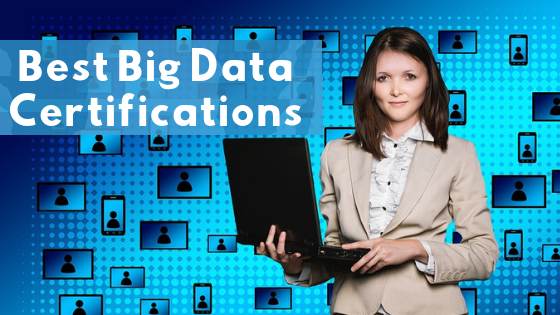 Big data certifications involve IT professionals that have background knowledge of analytics, data management, mathematics and statistics, business intellect and other related areas. 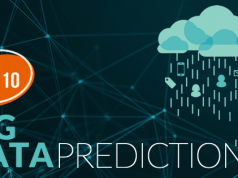 Are you prepairing for Big Data Certification? Pass in first attempt. We provide HDPCA- Hortonworks Data Platform Certified Cluster Administrator and HDPCD: Apache Spark- Hortonworks Data Platform Certified Developer: Apache Spark Certification Online Training Courses. IT professionals are located widely. Many professionals are working in teams all over the world, and there are many big data certifications in India, Dubai, etc. These professionals earn a lot of money. The area of big data and analytics is spreading nowadays, and the rate of big data certifications is increasing significantly. Professionals in Technology that have big data certifications are needed more than ever. Many people are getting life-transforming opportunities from their career in big data management. In case you are planning a career in big data, it is critical that you should plan to be well trained in this field. Getting trained involves identification and selection of the right big data certification course. Big data certifications assist you to become the dream expert of big data you wanted to be. It is one of the big data certifications that familiarizes important ideas relevant to mining and learning of machines. It is a college-level from the University of Stanford. The models used in demonstrations for students can be applied to science, business, and technology. This big data certification is very popular and graduates with this certificate have a high tendency to get a job. This course was designed primarily for software engineers, certified statisticians, data miners or professional analytics and predictive modelers. This certificate proves that their graduates have the necessary skills to form and design data resolutions to various issues related to large data management. Anyone who successfully passed this exam is qualified as a reporting engineer and BI. The exams involved in the process is linked to Microsoft SQL Server 2012. After pass the first three exams, the student will succeed as a Microsoft Certified Solutions Associate (MCSA), and the certificate for SQL Server 2012 will be given to the candidate. The last two exams under this program will qualify the students as a certified person with MCSE: Business Intelligence. All SAS certification demands sufficient concentration. SAS renders the Business Intelligence Content Developer (SAS 9) for data analytics. For students that aspire to become a certified Predictive Modeler, an exclusive knowledge and skills of SAS Enterprise Miner are vital for their success. The students are required to develop and assess models that are predictive; they need to prepare data and to score new data sets. Many statisticians will be attracted and concerned to become a certified analyst of SAS Statistical Business. The exam of the program involves testing for the knowledge of ANOVA, predictive modeling, and logistic regression. Hortonworks is an Apache Hadoop certification provider, and it is one the most prominent. The requirements to become a Hortonworks certified professional include the following qualification: Hadoop Certified Apache Spark, Hadoop Certified Administrator, Horton Certified Associate and Hadoop Certified developer. After completing this course, every graduate is expected to be well skilled in the development and design of Hadoop big data. This big data certification course also graduates professionals that are skilled in the art of managing big data environments. This big data certification proves how someone can use solutions to solve data management problems. This big data certification is under Oracle’s Middleware and Java certification path. This program is directed towards people that are participants of the Oracle Partner Network. Knowledge and skills to develop and install BI solutions are needed. It is crucial to develop BI dashboards and define security settings too. Under this course, the understanding of IBM products is not necessary. During preparation for the exams, a two-day boot camp that involves the IBM Certified Solution Advisor for Big Data and Analytics will be helpful. Most tech job board use HP’s Vertical Analytics Platform comprehensively. Database administrators are the focus of this certification. The ability to discover and troubleshoot problems are tested for under this course. There are tendencies of improving optical Vertica performance. Advance procedures under this course include manual projection design and database tuning. Exam’s for this certification includes a cloud-based exam at first, then a written exam through Pearson VUE testing. This is one of the big data certifications that requires a certain level of education and experience. The main aim of this program is to concentrate on the various key areas of the analytics process. The areas involved in the program includes identifying business problems, framing analytics, model formation, selection of methodologies and lifecycle management. As a certified professional with EMC certificate, you have the chance to partake and add value to huge projects and programs. Skills acquired from this program can be used to modify a business challenge to an analytics challenge, deploy the Data analytics cycle, create statistical models, use analytical technique and tools to define big data and select the right data visualizations. As a certified engineer of this program, you will have the technical knowledge and skills that employers desire the most. This certification develops from the CCP Scientist program. A practical environment is used for training students under this program and all the useful tools needed are provided to find a solution to all big data problems from various customers. As a certified professional data engineer, you will be able to develop self-directed, dependable and scalable data pipelines that will produce optimized data sets for different workloads. CCP data engineer can illustrate how you can manage data into a fresh and valuable form that will be useful for diverse reasons. The special skills that can be acquired from this professional package include Extraction of features from sets of data with various features like partial records or bad records and different type of errors. Three main exams are involved in the course. These three exams will be carried out within a year at different seasons. Students under this course will be working with data that are stored in a variety of formats like XML, JSON, and graph link data. Students are trained by developing a data science solution to data problems and accuracy, strength and scalability are ensured a system that involves peer review. Anyone with this certificate can prove that he/she can work with Apache Hadoop cluster using the technical understanding and skills acquired from the course. Very important skills in Hadoop cluster installation and management will be taught in this course. Another knowledge acquired under the program is Hadoop Distributed File System (HDFS). The pass percentage of this course is 70 percent of the total mark, and 60 questions will be asked in the exam. The exam for this course lasts for 90 minutes. This institution issues many big data certifications such as Senior Big Data Analyst, Senior Big Data engineer, Associate Big Data engineer and Associate Big Data Analyst. They do not specialize in a particular product. This course is a good for starting or developing your career in Big data. Data Science Council of America is a well-organized institution, and they graduate students at various levels depending on the learning demands from the candidates. Whizlabs Big Data Certification courses – Spark Developer Certification (HDPCD) and HDP Certified Administrator (HDPCA) are based on the Hortonworks Data Platform, a market giant of Big Data platforms. 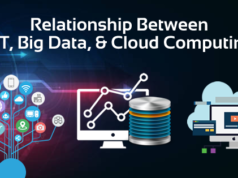 Whizlabs recognizes that interacting with data and increasing its comprehensibility is the need of the hour and hence, we are proud to launch our Big Data Certifications. We have created state-of-the-art content that should aid data developers and administrators to gain a competitive edge over others. Awesome Article…!!!! Thanks for sharing such a wonderful information with us. Glad to know the best database certification blog, which is so important for all students. You Explain 3rd Point which is SAS Certifications is so imporatnt for me.